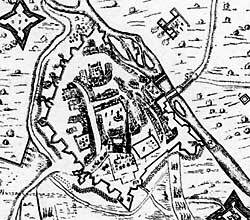 Extract from Clampe's map of the siege of Newark. 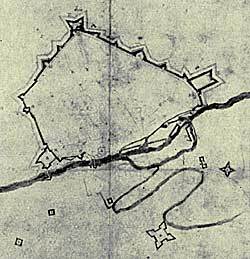 Extract from the map of the civil war siege works at Newark now in the possession of Newark Museum. It was probably drawn by a Royalist engineer.